Lord Mance has handed down the long awaited judgment in SWA v Lord Advocate in the UK Supreme Court finally dismissing the SWA’s appeal, and permitting the Scottish Government to implement its Minimum Unit Pricing (MUP) policy in relation to retail alcohol sales. The scheme to introduce a MUP of £0.50 per unit, under the Alcohol (Minimum Pricing)(Scotland) Act 2012, has been delayed for 5 years by this legal challenge which characterised the scheme as being contrary to EU law; in that it was contrary to both Article 34 TFEU, as it was a measure having equivalent effect to a quantitative restriction on trade, and that it was contrary to the bar on price fixing under the Single CMO Regulation EU/1308/2013 covering wine. This is the fourth, and final, substantive judgment in this litigation. At first instance the Outer House of the Court of Session found MUP to be lawful,  CSOH 70, and after receiving a response to a preliminary ruling from the Court of Justice of the EU, Case C-333/14 EU:C:2015:845, the Inner House,  CSIH 77, also upheld the lawfulness of MUP. The SWA’s appeal was perhaps inevitable, but after a hearing in July 2017, the final judgment has largely confirmed the findings of both Scottish courts that the policy could be justified on the basis of the protection of public health. By the time the case reached the Supreme Court it was largely settled that MUP could be characterised as a measure having equivalent effect to a quantitative restriction under Art 34 TFEU, and would be contrary to the Single CMO Regulation, but any restriction contrary to those provisions could be justified on the basis of public health protection. The majority of the discussion in the Supreme Court surrounded the proportionality of MUP; was there an alternate measure which could achieve MUP’s aim but which be less restrictive of trade or competition? ‘refine the aims advanced and to demonstrate that, on the material now available, the proposed measure is justified, even if it only meets an aim which is narrower than, but still falls within the scope of those originally advanced’. Both the AG and the CJEU drew attention to the ‘two fold objective’ (CJEU ) of MUP, in relation to problem drinking and the general consumption of alcohol, but this flexibility allowed the Scottish Government to refocus their argument on what the new evidence showed to be the most important benefits of MUP, in relation to problem drinking, and away from the issues of general consumption. That was to their advantage when as it was seeking to justify a more targeted measure - MUP - over a more general one - increased excise duty. This task was described as being a comparison, ‘between two essentially incomparable values’ – health and the market . It was also stressed that, ‘it was not for any court to second-guess the value which a domestic legislator may decide to put on health’ . This rejection of a ‘balancing’ approach between the competing values of health and the market was important. It reduced the need for the Scottish Government to produce compelling economic evidence of the impact of MUP on future markets, but, more importantly, because it did not compel the court to weigh up, ‘the number of deaths or hospitalisations … [which were] “proportionate to” the degree of EU market interference’ . The final decision on proportionality – after consideration of the new evidence and argument before the Supreme Court – was clear. ‘A critical issue is, as the Lord Ordinary indicated, whether taxation would achieve the same objectives as minimum pricing. … [T]he main point stands, that taxation would impose an unintended and unacceptable burden on sectors of the drinking population, whose drinking habits and health do not represent a significant problem in societal terms in the same way as the drinking habits and health of in particular the deprived, whose use and abuse of cheap alcohol the Scottish Parliament and Government wish to target. 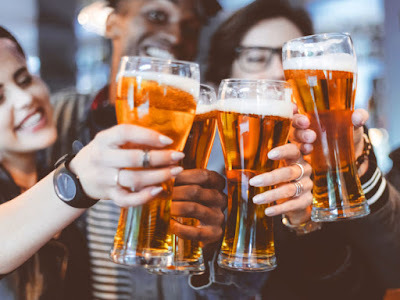 In contrast, minimum alcohol pricing will much better target the really problematic drinking to which the Government’s objectives were always directed and the nature of which has become even more clearly identified by the material more recently available’ . This conclusive finding that MUP is the most effective way of targeting a particular pattern of problem drinking in Scotland reflects the same analysis of the evidence by the Lord Ordinary and Lord President in the Court of Session. The other key point that Lord Mance went on to make concerned the respective roles of the Scottish Parliament, in setting health policy priorities, and the court, in assessing the proportionality of a measure. As the ‘balancing’ approach, suggested by AG Bot, had ready been rejected it is perhaps not surprising that Lord Mance restricted the role of the court. ‘the Scottish Parliament and Government have as a matter of general policy decided to put very great weight on combatting alcohol-related mortality and hospitalisation and other forms of alcohol-related harm. That was a judgment which it was for them to make, and their right to make it militates strongly against intrusive review by a domestic court’ . ‘That minimum pricing will involve a market distortion, including of EU trade and competition, is accepted. However, I find it impossible, even if it is appropriate to undertake the exercise at all in this context, to conclude that this can or should be regarded as outweighing the health benefits which are intended by minimum pricing’ . Given the strength of that conclusion it is difficult to see a circumstance in which a UK court presented with clear evidence of prospective health benefits from an intended public health intervention, which is predicted to prevent mortality and hospitalisations, would decide that such a measure is a disproportionate intervention. The Supreme Court’s heavily reliance on the evidence base behind the adoption of MUP is unsurprising. The CJEU stressed the importance of evidence to justify a measure in both the SWA reference and Case C-148/15 DPV. There is, however, no better example of the extent to which evidence can become important, but also a significant burden (as indicated at 411) to a court, than BAT v Dept of Health  EWHC 1169 (Admin). Although the Supreme Court was heavily reliant on the wealth of modelling evidence presented to it, it did recognise that much of the evidence was, as the AG described it, ‘somewhat experimental’, and that it would difficult ‘predicting the precise reactions of markets and consumers to minimum pricing’ . In that regard the Lord Mance appears to have taken comfort that the proportionality of the measure in the longer term would be assured as the Scottish Government had built a sunset clause into the Act, and that a formal review of the actual effects of the legislation would be required or it would cease to be in force after six years. I have been following this case for a very long time and my initial reaction is that it is a good conclusion. The Supreme Court has made it clear, much more so than the CJEU did, that a convincing and well evidenced public health argument should, and hopefully now will, win out over trade or competition concerns. The proportionality test still has teeth. A Member State seeking to justify a measure must be clear about its aim, and it must have a good evidence base to explain and justify the effectiveness of the intervention it has chosen. But it now appears that the courts, in the UK at least, will now give some deference to the policy choices of the legislature if they stand up to that scrutiny. It is not the courts role to second-guess policy in these areas, but I am sure that we will see new challenges if other jurisdictions attempt to introduce similar policies. Other administrations may see this case as clearing the way, but they should be careful as the decision in this case was tied to a detailed analysis of a particular Scottish problem. It is not the case that the same intervention will be appropriate or necessary everywhere else.